A licensed coir pith block manufacturer in India, MMTE has been winning the trust of clients through its organized trade operations and excellent customer support services. The company has its own facility wherein we design and develop coir pith blocks under skilled supervision. 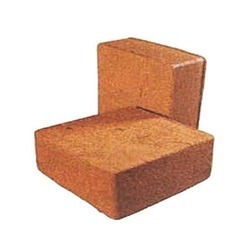 Within a small span of time, we have earned appreciation as a reliable coir pith block exporter in India/ coir pith block supplier in India. We are from Tirunelveli (Tamil Nadu, India) and engaged in catering to the market with quality products at nominal prices. Using ultramodern packaging equipment and superior grade materials, we secure our products and make them safe from external damages. In addition, the packs are labeled properly for information. So, contact us anytime.